The end of a living landmark. In many ways this is just like any other January morning. Cold and sunny. 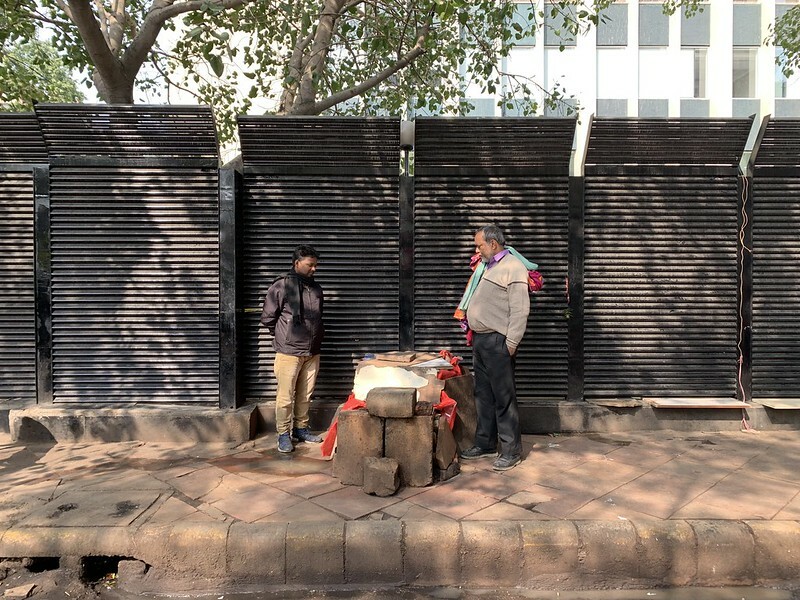 But Muhammed Sabir’s tea stall in a side-lane on Central Delhi’s Kasturba Gandhi Marg is looking bereft with just a couple of piled-up concrete blocks. There is no tea rattling along in his kettle. The usual crowd of his regular customers—many of whom work in the offices of the adjacent HT House—is also missing. Mr Sabir died last night–1 am, 25 January–of a heart attack. He was 42. He had founded the tea stall more than 20 years ago, according to some of his fellow stall owners operating in the same area. Every morning the genial tea man would arrive from his home in Nabi Karim, a neighbourhood in Paharganj. He would step out of the auto-rickshaw with both his arms full. He would be carrying large packets containing cartons of milk, stacks of paper cups, boxes of chai patti, sugar, ginger and cardamom seeds. “I knew him so well,” says channa vendor Asif, shaking his head, half in disbelief and half in sadness. The gentleman talks of Mr Sabir’s generosity in never letting a customer go away without a cup of chai even if the person had no money at hand. Kabadi seller Arvind Kumar (seen in the photo with Asif) recalls Mr Sabir would insist on giving chai on credit to those passers-by too who were not regulars. “Kabhi toh aap vaapas ayenge (but some day you will return),” he would say. Mr Sabir is survived by his wife, Tabassum Khatun, sons, Salman and Sohail, and daughter, Khushi. His body has been taken to his home in Katihar, Bihar, his final resting place. The stall opened daily from 9.30 am to 8.30 pm. Sundays used to be closed.